I went Christmas shopping with the family yesterday, which was fun. Mom never enjoys shopping, or Christmas, really, but secretly she enjoys the rest of us enjoying Christmas, which really means that she enjoys Christmas because it makes us happy. I seem to be in the odd condition this morning of writing in circular logic. To continue with more oddities, I'd like to express my interest in the fact that I tend to use many exclamation points in my writing. Now, something about exclamation points really attracts me. They can be so happy and exciting and they give energy to my words. At the same time, the over-abundance of exclamation points can give a reader the impression that I'm yelling or possibly on a caffeine kick induced by too much theatre and not enough adrenaline. I'd like to take this time to assure my readers that while I do partake in too much theatre, I do not happen to enjoy many beverages that include caffeine because I have a healthy affliction for carbonation and the taste of coffee. This means that all of my exclamation marks are used with the best of intentions and only because I like to express my excitement for all things 'me-related', 'theatre-related', and 'future-related'. In the future it is probable that I will post about my abundant use of parentheses to define my illogical and un-interpretable inner thoughts. Yesterday was so packed, I realized I had to write another post to cover all the important things that happened to me. I had my final Nuts and Bolts class in the morning. We all turned in our Created Content projects and our Notebooks full of notes. Professor D gave us a small quiz over the New York Times, which we're supposed to read every day of our lives because that's what a proper theatre professional would do to stay aware of their world. It was an extra credit quiz...and I got more right than I thought I would, so--win. Then he had some of the girls show their created content projects. One was a scrapbook (because people pay to have others scrapbook their lives (Mom--good side job.)). Another was a bag designed and built specifically for a stage manager and all their needs. Some were websites, and after I saw those I was really proud of myself for building my own, and I think I made the right decision to do it that way. Then Professor D told us we were going to watch our TV auditions in full, but what he really pulled up were our STI auditions! My first summer at college we were required to audition with a contemporary monologue and a monologue pre-1900s. They were to be contrasting pieces done in 3 minutes. Of course no one stayed in the time limit because either we didn't know what preparation was or because for some incredibly insane reason we thought it would be great to make ourselves memorize really long new material. Honestly, watching them I was so proud of my class. Sometimes we watch the underclassmen and we think 'Wow, I remember when I was that untrained'. But even at STI, for the most part, I thought my class showed so much natural talent and willingness to work through a challenge. I was proud to be part of such a talented and dedicated class. I've gotten to work with them on so many things, and my experience at college is only because of these amazing men and women and what they can do. We all had little ticks, and it was amazing to see how much we've grown in this short year and a half. It feels like it's been a century since we went to STI. My semesters here are so full of new techniques that I can hardly remember a time when I didn't know not to stand in neutral or how to score a script. Yesterday I became so thankful for the education I've received. After watching our auditions, Professor D told us that he knew his class had been about how hard this industry is, but now was the time to tell us how wonderful it is. He told us that we are truly doing God's work. He said we have the ability and the opportunity to hold a mirror up to human nature every day so that people see themselves in our work and recognize something that they haven't before. We get to change people, and affect the world. We make a difference and we're an important part of this world. He told us that at any time, if we decide that we don't want to act anymore, or if this life isn't what we want any longer, that we should never feel as if we have wasted these years at college or our years in the professional world. We will have impacted people and we will have grown as people. The skills I've learned at school can be applied to almost any area in any industry. I understand community, teamwork, how to deal with people in stressful situations, time management, hardware skills, and memorization. I have intellect and the ability to adapt under stress. All these things would benefit me in any line of work (minus maybe the hardware skills). Professor D also expressed that this line of work is hard, really hard. It's hard to take rejection on a daily basis, especially when it's out of your control. It's hard to be unemployed for long stretches of time. He told us there are only 4 things you can control: Your look, Your attitude, Your drive, and Your preparation. Everything else we shouldn't worry about, because it's out of our control. And that's hard to do. It's hard to have a day job that you don't find as inspiring. However, he told us that what we do takes courage. Courage because it's hard. Courage because we put ourselves out there, and take ourselves to the emotional places that most people wish they could go, but never let themselves. But most of all, he said, we get to do what everyone else wants to do, but didn't have the courage to do. We get to act. Everyone loved doing plays in high school, but most people never pursue it. He told us there are 110,000 actors in a world of over 8 million people. Very few people do our job. But that also means that if we ever decide to do something different--it's OK. Those other 7,890,000 aren't wrong--and they're happy too. Professor said that if there is one thing he hoped he taught us, it would be to never be a jerk. Life is too short and the world is too small to be a jerk. And have other hobbies. Not living outside theatre will never make you a better artist and it will kill your soul. And never hate what you do. If we ever find ourselves in a position where we don't enjoy getting up every morning and acting, then we shouldn't be doing it anymore. There were tears after this speech. Watching how far we've come as a class and then hearing Professor D encourage us to do what we've been working so hard for was really inspiring. Then of course, Professor B had to go and do the same thing after our Monologue Final was complete. My monologue went really well. Not to repeat myself for the umpteenth time on this blog--but I was really proud of my class period. We had split the class in halves, and my period went yesterday while the other half watched. Everyone had made their package adaptable to the space and to what a real audition would be like. We used a chair if we needed, and nothing else. Everyone had killed their little habits and gave really powerful performances. Afterwards, we talked about what was successful and the comments we wanted to make about individual pieces. There was definitely a different energy between the class periods. I thought that everyone had packages that really showcased who they are as performers right now. They all played to their strengths. We laughed because we all still tend to run a little lengthy even after all this time. We were all individuals, no one seemed like anyone else. I was really surprised by this and it made me understand how hard a casting director's job must be. However, Professor B told us that that is what she accomplished through this class. For the most part, people blend together in an audition, and she was proud to say we were all different. Professor B went around and commented on all our packages. She told me that mine was sophisticated and urbane--just like me. She told me I always seem slightly older than my years and that my package truly showed me as a performer and that it was a very strong package. She believed I'd found the perfect pieces. Of course, I would only take these pieces to a very specific audition, not a children's audition or anything, but it was very nice to hear. I performed The Provoked Wife by John Vanbrugh and Ron Bobby had too big a Heart by Rolin Jones. I think my Midwest package will have to be slightly different depending on who I want to cater to. We also talked about how much everyone has improved. Professor B challenged us to never forget what we've learned through this class and return to our old habits. She actually made the comment that she knows it's easy to forget the things we learn in class, but that made me realize something. I think the reason I've had such a great education at this institution is that everything I've learned I've been able to apply almost immediately, whether it's in another class or in a play I'm rehearsing or performing. It all blends together so it's almost difficult to forget it. I know I'm not as polished as I was when I first learned certain techniques, but they're still living in the back of my mind if I need to pull them out. I'm very proud to say that. The P-Tech show afterwards was really awesome. I enjoyed it very much, and all the performances were great. It was just another experience of the day where we realized how far we've come in such a short time. By the end of this semester I have had my last classes with Professor R and Professor B. That's so weird. We said a lot of goodbyes in class to Rhea and Sarah who graduated at semester. If yesterday was anything to go by, I think they're feeling inspired and courageous enough to move forward with their lives. Finals week is the mystical time of the year when nobody sleeps and everyone says ridiculous things. Thankfully, it's almost over. Friday I had my Shakespeare final. Everyone performed their final scenes for the class. It felt kind of like Shakespeare on tour because every scene was in a different location. My scene was in the basement of senior hall. We were proud of the final product. It turned out really creepy and slightly too realistic in the death department for some people when we strangled the Duke of Clarence. Professor R really enjoyed it and he told us that the death scene was the best we'd done it yet! Everyone's scenes went really well. They had all chosen great cuts from the plays that were really interesting to watch. The best ones were the ones where the location added to the experience, I thought. Over the weekend I finished up my website, studied for my Global Ethics final, and prepared my Jury songs. The weekend actually seemed pretty long for once. We had an awesome Christmas party Saturday night where I dressed as a Grecian Christmas Tree with the help of my amazing friends and some significant others. Unfortunately for you, I don't happen to have any pictures of the event or my costume, so you'll just have to imagine the most creative and beautiful Christmas tree you can. And then multiply that by 10. I also attended the Senior Dance Concert. The dancers have a 3 year program here like the Theatre Majors, so my friends from first year were the choreographers for this concert. I have to say, out of the senior dance concerts I've seen in my 3 years, this was my favorite. It was beautifully done and the lighting designs were all really creative. Last year I lighting designed for the Senior Dance concert, which in retrospect, was a lot of fun. They really did a grat job this year though, and I loved every dance. I had an 8am final rehearsal for the directing scene I was acting in Monday morning. It went very smoothly and the director was happy with it. I went to my Voice Jury at 1:30 and sang my song. One day, I'll be much better at that song. Yesterday was not that day. Suffice to say that the voice professors were proud of my progress. Something I learned: Next time, I know that I should act my song. I wasn't sure of the protocol, but I asked afterwards and they told me I should definitely act it if I could. I should have just done it anyway but C'EST LA VIE! Global Ethics was not nearly as difficult as midterms. I have a feeling he gave us an easy out. However, there were a couple questions that I guessed, which fits accordingly with the 'Sascha can never get full points on any assignment in Global Ethics' policy that was instated at the beginning of the semester. However, I did get full points on my final dilemma which was like the best Christmas present ever! It was like I accomplished the impossible, I wanted to wear my graded paper around school for the day but I figured that would be bragging, inappropriate, and Professor T made us give our papers back, so it would have been impossible. Instead I just took away the experience of being part of a class that made a real difference and taught me more about the meaning of education than any other class I've ever taken. Thanks Professor T.
I performed my directing scene with Katie Mac and we had a grand old time. Director was very proud of his final product and we had a great time acting in a surrealist piece. All the directing scenes last night went very well. It was interesting to watch the difference in the scenes from this year, and from my class last year. This year many people chose outside actors, or more first year actors. Last year, we chose to act in each other's scenes, and some third years joined in. I think the quality of directing is probably equally matched in most ways, and even though the acting was wanting in some areas, there were so many first years that gained so much experience. They had the opportunity to act in front of their peers, work with more experience actors, and be taught by great directors. There were a lot of stand out projects last night. I think my favorite was definitely a scene that was written by the girl who directed it. She brought in outside actors, and they were great! I was so impressed by her scene! She has a great future ahead of her. After directing scenes the first half of our Monologue Class performed. It was great to watch all the people we hadn't seen all year do their work. I loved it, and some people have really great potential packages. I think what most of us will take away from this final though, is that we don't like our packages. And that's even better because it means you know yourself and what you want. I perform tonight with the rest of the class. After that is the P-Tech show--which I can't wait to see. It's going to be so good. Today I have my Nuts and Bolts final, which consists of turning in our notes for the semester (which I did on Friday) and giving him our created content, which I already finished. Then tonight I have monologues, which I'm completely prepared for. What an easy day! Tomorrow is my last final--Shakespeare Lit--and then it's home for winter break! I'm going to watch so many movies this break. Rabbit Hole is out in select theatres, and I have to see it. I'm going to bawl the whole time. The Tempest is out, and that's a must see. So many movies from the festival strip are being released over break, and those are my favorites usually. I really want to see Blue Valentine. Actually, I want to see just about every movie that's being released over break. Good thing I'll have that mystical thing called free time. Now that I've used the word mystical twice in this incredibly long post--I'll let you go. That's a lovely quote from one of my favorite shows, Greek. Wow, I've been gone for a while! But I'm back and ready to fill in the world. So, I had a beautiful Thanksgiving vacation working on homework, spending time with family and friends, and relaxing for the first time since Boji. I came back to school refreshed and ready to speed through the last 3 weeks. Monday I had a 10 page paper due in Shakespeare Lit about the morality of the East vs. the West in Antony and Cleopatra both in Shakespeare's time and at the time the actual events took place. It was crazy to write because it was hard to find historical evidence, but I got it done and presented it to the class on Wednesday. I received an A, which is all I could ask for. Tuesday we worked on 'On-Camera' auditions in Nuts and Bolts. I volunteered to read a scene in class and it was a lot of fun. Thursday we did mock auditions with sides that we had 2 days to memorize and prepare. I watched my audition on Friday and Professor D said I did very well, especially in a technical sense. However, I didn't think there was anything that stood out about my audition, and that's the key to getting cast. You have to be interesting and special. So, for a first time it was a productive audition, but I'm very excited for next semester when I get to learn how to do it better. I learned that occasionally I make my eyes too large, or move my eyebrows too much. I think my 'listening' face is bland, personally, so I'm going to work on that. I also need to learn to make bigger choices for my characters. It's difficult to know how big is too big when on camera, because I don't have enough experience yet. Wednesday I performed my dramatic contemporary monologue for Professor B in our last monologue class. I did a good job, and she told me I could definitely add it too a package. This Wednesday we have to go in and tell her the package we'd like to perform for our final. We pick two contrasting monologues that show off our personality and ability best. I'm thinking I might do my Restoration (18th century) comedic and my contemporary dramatic. Professor B encouraged us to stick with contemporary because that's what we're most likely to be cast as for a while, because that's where most of the work is for younger actors. Good advice! We also had a Warehouse Board meeting to decide which director would receive the 'Off-the-Wall' Slot. Once a year, we allow an outside director to perform in the Warehouse space, but we have to listen to presentations to make sure that their vision fits with our vision for the Warehouse. It was a close call, and all the presentations were great. Erin ended up winning. Her idea was 'Women Fight Against', which is a show based on combat and monologues and sketches where women will fight against different people, situations, and ideals. It's going to be really cool! I watched my commercial audition on Wednesday, and Professor D showed me some things I need to work on. He told me that when you finish an audition you should always keep your eyes on the camera, don't look back up at the casting director. That leaves them wanting more when they watch the tape. He also told me that it's always interesting to watch someone push through mistakes. I messed up one of my takes, but I kept going, and he said that's exactly what you should always do. Personally, I didn't enjoy commercial auditions because of the improvisation, and because I didn't have a strong relationship with the product, but I know now how to do better with them in the future. Watching myself on camera is an interesting experience. I rarely think I look good, I either appear bored or too excited, and I'm unaware of how to make my personality come across. However, I look forward to learning everything I can about film acting. Even though I have no idea what I'm doing, I'm having a great time figuring it out. I recently shot another film scene for the film acting practicum I'm taking. It was a scene written by my student director, and it all took place inside a car, which we drove around a parking garage for the entire shoot. It was interesting to be so close to the camera for the entire shoot, and to focus not only on the things in the car, but on the cars outside of my car (because I was looking for a car). Kylie drove the car, so she had to work on saying her lines and being an attentive driver. She thought it was very difficult, and we had a near collision. This is, I'm sure, why car scenes in TV and Film take place in a car that is NOT moving. Stay on the safe side--don't act and drive. Thursday after the TV auditions, my Ethics class was cancelled. I went out to lunch with Gillian, and then spent the rest of the day working on designing my personal acting website. It's coming along quite nicely, if I do say so. I've spent a total of 15 hours in the past week watching videos and figuring out my new programs through trial and error. I got some Adobe software over the break: Dreamweaver and Photoshop. I've built and designed my own template and entrance page, and now I just need to link the rest of my pages. I'll have it up and running soon if everything goes smoothly! While I've enjoyed creating it, it's still only a first try and I can tell that I'll be redesigning it over winter break just for fun. It has to be better the second time, right? I had Shakespeare rehearsal Friday morning. Professor R watched our Richard III scene and gave us some great pointers. We're performing it in the basement of Senior Hall, which is dark, leaky, and loud with old machinery. We're working hard to be louder than our surroundings, and we've brought in our own light and we're playing it like an interrogation scene. I'm really excited about it, and I think it's going to be great. We dressed the scene on Monday and Professor R has mostly technical things to point out. He told us to watch our dramatic pauses and helped with some interpretation issues. I've really enjoyed this class this semester and I'm sad to be nearly done with it. It's been so much fun to work on classic material, and I think I've found I have a passion for it. I would love to do more classics in my future, or possibly earn a graduate degree in classical acting. Kaitie and I watched Macbeth (1979) with Ian Mckellen and Judi Dench last night. It was so good! The set (or lack thereof) was weird and the lighting was distracting, but I understand it was a stylistic choice. What I loved was the acting. Mckellen and Dench are some of the most renown actors in the world, and they're so respected in England for their work in the arts. I could list the credentials but they would be too long. But if you're interested you should look them up. I also saw Meet me in St. Louis this weekend, and it was great! It must be a 'last year in college' thing, but I feel so proud at every performance I've attended this year. I've grown with my class and we've been through so much; I feel so much pride every time one of them is cast and they have the opportunity to light up the stage. I remember 1st year and STI when we were so fresh and mold-able. Everyone has come so far and learned so much. Everyone did such a great job, and the characters were so heartwarming and charming. I might go see it again, I liked it so much! Our auditions for Sense and Sensibility were supposed to be Monday, so I prepared my monologue over the weekend. However, Professor B (the director) has moved them to January, so I have some more time to prepare, I guess. It's one less thing on the plate, that's for sure. My directing scene is completely blocked, and now I need to memorize it. We perform Sunday. I think my last day should be Wednesday, and then I'm on the road again! I thought I'd put the links to some of the coverage of my Global Ethics event if you weren't interested in seeing it! And here's the video that was on the news! Erin gave the interview and they cut it really short, but I suppose it got the point across. Now, I heard some have been having trouble getting the video to work. Beneath the video, if it won't play, there should be a link that says play video now. If you click that it will ask for your name and e-mail, which you can give because it's harmless, and then it asks you to RIGHT click the video. It might play an advertisement first, but it should eventually play! I hope it works! In other news, this week has been one of the least stressful weeks. We had a Warehouse Board Meeting, a Warehouse Event to raise money at our local TGI Fridays, and Warehouse Elections to replace Rhea who will be graduating in December. We're on the hunt for a new Performance Liaison. It's down to a 2nd year and a 3rd year and both would be great additions to the board! I've had very little homework, and some classes cancelled because a lot of the theatre faculty is out of town this week, apparently. I've agreed to be in a 2nd year Directing Scene. It's a 10 minute absurdist piece, so it should be fun. I'll be playing 'Man from Hell', so I'll get to stretch myself a bit. I have one 6-10 page paper to write over break, 1 Shakespeare scene to memorize, and one directing scene to memorize. Other than that, I'm free as a bird! I can't wait! And as a bonus: I'm seeing the 1 am showing of Harry Potter and the Deathly Hallows tonight with Kaitie!!!! Collected Stories went great! Opening night was the only night with major technical difficulties. Everyone settled into their roles and we had a great couple of shows! Mom and Dad got here Thursday, but I couldn't see them until after the show. I had a movie scene to film. It was a scene from "The Princess Diaries" and I was playing the Queen (Julie Andrews) and Ashlee was Mia (Anne Hathaway). We filmed it in the style of "The Office", so it was more like a documentary. It was fun, and I didn't have to be completely off book! Thursday's show was slow because we had a smaller audience. I felt pretty good about it though. Mom and Dad loved it! They said they enjoyed Friday's show more, but Rhea and I felt that Friday was worse. The difference between audience and actor opinion is so interesting to me. But as long as the show comes off well, it never matters how the actor feels about it. What matters is that we impacted the audience and got our message across. Rhea and I spoke too fast in some parts and we'd stutter on a word and start it over. That's a big actor no-no in performance. You're supposed to continue with the sentence and never restart a line. It was very odd for us, but we got through those little blips with grace, I think. Friday night was talk back and we got to answer questions about what our favorite parts of the show were, and our favorite parts of the rehearsal process. A few under classmen students asked us some great questions about what the most challenging thing about being in a 2 person show was. The answer was so easy for me and I realized it's all thanks to Professor D.
Listening is the key to all great performances--that's what he taught me. And it's true. None of Collected Stories would have been successful if Rhea and I hadn't listened to each other. Because it's 2 people, it's such a reactionary show and everything depends on how you give a line and respond to a line. Professor always told us in his acting class that we have to listen and truly hear what your scene partner is saying to you, and then react accordingly. You can't brush past a line or throw it away, because the playwright wouldn't have written it if it wasn't important. Every line has meaning, and it's the actor's job to give it meaning. I had a 2nd year come up to me after Saturday's show crying, and she told me that she finally got it. She watched the show and she finally understood everything Professor D had been telling them in their class about 'how to act'. And it was so amazing to have someone tell me that. And the only reason it felt so good is because it solidified for me that I've truly learned things here. I've gotten the education I need, and these underclassmen are getting it too. I was so proud of my cast and crew and professors in that moment. Some other 2nd years came up and confirmed what she said too, and I was blown away that not only had I helped them, but I had started using the things I learned here without realizing that I used them. It was a total 'senior year' moment. Saturday's show was the best attended. All the theatre students that are in Meet Me in St. Louis came and they gave us great energy. Even Professor L came for some of the show! Strike was really emotional because it was Rhea's last college strike, and we were all feeling the end. This semester has just flown by, and I can imagine that next semester will go by even quicker. I can't imagine what my last college strike will be like. The set came down so fast! Director was having a hard time watching it disappear too, I think. The understudy performance was Saturday during the day and they did an amazing job! I can't even imagine having to perform a 2 person show as a 1st year. They have so much to learn, but the little things that I could point out were all things that they will definitely learn here at this school. And it was so comforting to watch thinking "I used to do that" and knowing that by their 3rd year they will have come so far. Their performance was great! They have so much natural talent and they carried their conversations with ease. I really enjoyed it and they had a great turnout in the audience. I'm so proud of them! 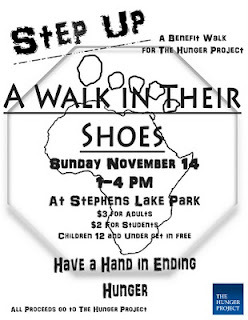 Sunday we had our Global Ethics project event: A Walk in Their Shoes. It was so much fun! We got to the park at 12 and we started putting posters up around our trail. We had factoids about Africa and the starving population there, as well as optional tasks that had to be accomplished such as walking without shoes, carrying buckets of water, and blindfolding a partner so they had to depend on someone. We had an awesome turnout! 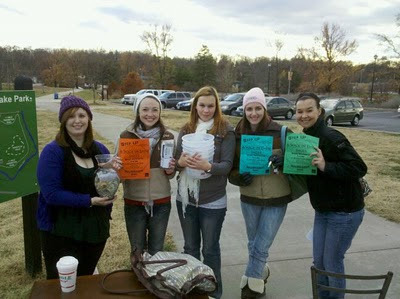 We ended up raising $146.53! The best part though: We raised community awareness! There would be people who walked by our signs and stopped to read them. Somehow (and we're not sure how we accomplished this) the buzz about our event spread through the churches and the community to the newspapers! We had 3 different newspapers come interview us AND a camera crew! We were on the news! I got elected to give a personal interview, but I pushed Erin to take it instead. She's the one in our group from Columbia, and even though she wouldn't say it, she really wanted to do it. She gave a great interview! I was so proud of her. She offered perfect analogies to relate to the public the things we were hoping to accomplish and spoke eloquently about our organization: The Hunger Project. She also took our film acting training to heart and remembered to ask the camera man "Where do you have me? "(That means, where are you shooting me? Such as: from the chest up). My whole group is made up of senior theatre majors and we ate that up. Professor D would be proud. No other group in Global Ethics had newspapers interview them, and they certainly didn't make it on TV. They aired it last night at 9 and it was a beautiful 45 seconds! We can't wait to tell Professor T about the outcome of our project. We gave away tons of great raffle prizes to some very deserving students and community members. Everyone's support was fantastic and appreciated! Today in class we re-blocked most of our final Shakespeare scene and rehearsed it. We watched more of The Winter's Tale in Lit class. I had voice lessons today and Voice Professor T has decided to teach me how to belt! I'm so excited! We picked my final cuts for final voice juries that will take place at the end of the semester. I'm required to do 1 full song and 2 cuts. I kind of can't wait. I also can't wait for Thanksgiving Break! My first break since Boji! I have free afternoons all week, and I'm excited to take a step back, breathe, and concentrate on my homework again. It's going to be a short week and I'll be home in no time! The weekend just flew by! It served the purpose of being the much needed break from Collected Stories for me. I was back and ready for action on Monday. Monday afternoon we ran Act II, and then Monday night we had 1st Dress (Rehearsal). We had to stop a couple times for line issues (though we never asked to be given a line) and for technical issues. Tuesday afternoon we ran Act I and Act II scene 3. It went well, and by night rehearsal we were on our game. We didn't have line flubs, the tech was on track and there were only a couple of issues that arose. Gotta love live theatre. I forgot my coat in one scene, and forgot to take it off in another. The keys I'm supposed to have weren't in my pocket, and many of the lights weren't focused. All in all though, it went really well! So, Wednesday comes. Now, Monday and Tuesday I'd been running around like a chicken with my head cut off, printing programs, getting them checked and rechecked, printing more programs, negotiating bills, picking up T-Shirts (and then going back to pick up shirts that were printed wrong), Designing program inserts (because even after all the checking, somehow some important people were left off the program--my fault! ), printing program inserts, cutting program inserts, inserting program inserts, Updating( printing, cutting and inserting) bookmarks, passing out flyers for fundraising, and SOMEHOW memorizing a monologue for class. This monologue was performed Wednesday morning for Professor B. We were supposed to be able to come into the room in character, and use whatever prop/set piece she set before us. It was improvisational and REALLY hard. It would have been more fun for me if I had memorized my monologue before the night before and if Wednesday wasn't opening night. However, that was no excuse. I didn't do the best I could have, and Professor B called me out on it. She also gave me an out, saying she knew how much I had on my plate and that I had an entire play of lines to memorize. I find it odd how everyone has made such a big deal about Rhea and I having so many lines. To me, it just seems like my job to get it all done, and I love it so it isn't a hassle. And it makes me feel horrible when people use it as an excuse for me. So I went to Professor B after class and told her that I didn't have an excuse for not doing well, and that she shouldn't give me one. Weirdly enough, she wouldn't accept that. She told me that it was OK, and that she understood. I tried to fight her on it, but she wouldn't let me. It was kind of surreal, honestly. I just wanted her to know that I would never use my PR job plus being in a show as an excuse, and she just told me that it was a good excuse. So I lost that battle. I also presented my global ethics project with my group. We ended up having to go last and had little time to present, so we did an abbreviated version of our process so far. Professor T was impressed at the buzz in the community about our 'A Walk in Their Shoes' event. All our proceeds are going to The Hunger Project, and our interactive walk will be fun I think! It's on Sunday, so I'm sure I'll have more about it on here later. I also designed the beautiful poster you see here. OK, so all of this happened, and then I had opening night last night. I hadn't even felt like it was opening night all day because there was so much going on. We cleaned up the Warehouse and did all our last minute things. We redid some of the lighting, lined the wood flooring, and created the Biography Board. We had a Warehouse Board Meeting at 5:30 because it was Wednesday and we rushed through everything we needed to talk about, and then we scattered to get ready for the show. Rhea and I were pumped. Our understudies were excited, and Director couldn't have been happier that it was opening night, I think. The show went GREAT. 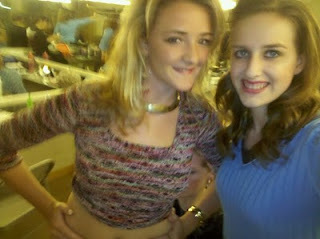 Rhea and I were solid in our performances and we made it through every technical difficulty presented to us! And boy, was it a fun night of live theatre difficulty. There were new costumes, early light cues (that left us either entering the stage in light or exiting the stage in light), phones that didn't ring, and the best of all--a bottle of sparkling juice that wouldn't open. Rhea has a long monologue where she opens a bottle and then pours us both some juice. She couldn't open it, so I took it from her (while she was monologuing) and tried to open it, and when that didn't work, she simply went to the kitchen (lucky we had a kitchen on stage) and she poured us some tea! Something to remember: always buy twistable caps, never the kind you have to pop. But everyone loved it, and no one could tell that anything was wrong. I felt good about it, and I'm very excited for the rest of the week! Professor R and Professor D both saw the show last night and were very complimentary. But the best part of my night last night was getting to hang out with my Mentizzle. Mentor Mentizzle is the mentoring program we set up in the Warehouse Theatre to get the underclassmen more involved. I haven't gotten to speak to her much this year, and last night we got to spend more time with each other. It was a lot of fun! So, Day two of the run of Collected Stories. I had a commercial audition for Nuts and Bolts today. Unlucky for me (or lucky depending on your outlook) I was called in for the Diet Coke commercial. I was asked to dress contemporary casual but edgy by my agent (who is really just my teacher, but he likes to simulate the real world in these class exercises). So of course, the Diet Coke commercial is the one that includes the most improv, and I am horrible at improv. It's a skill I've always wanted to learn, but have always been too intimidated by. Usually when you are trying to learn it, you are surrounded by people that are really good at it, and it makes it harder. So I had to walk in (and I was called before I expected to be called) and tell a charming, funny story about the best Diet Coke I ever had. I was possibly charming; not at all funny. Then he wanted me to tell a different story, but I hadn't thought of a different one, and since I'm horrible at improv I couldn't think of one on the spot. So he gave me some ideas, and I tried a couple of them. Then he told me to take it darker, and I said some more of his ideas. Then I tried one idea of my own and I was done. He told me good job, how much it would pay if I got the gig, and what they were planning on doing with it. All of this took place within the span of 2 minutes. All commercial auditions are 2 minutes long, and all commercial auditions are improv. Therefor I predict I will probably never be very good at commercial auditions. I'm OK with that though, because I'm not incredibly interested in commercials. Apparently, many of them are moving to Non-Union which means it's harder to be paid residuals for every time they air. And if you book a national commercial then people might see you as 'the girl in that one commercial' which can ruin any TV/Movie career you might want. Professor D told us that you have to be willing to trade a successful TV career for a successful commercial career. My roomie Kaitie is really good at improv and it sounds like her commercial went way better than mine. Go her! So, Mom and Dad get in today, but I have class, then a movie to shoot, then a Warehouse Company Meeting to attend, then a show to perform, then photo call, and THEN I can see them. Hopefully I'll have more time tomorrow since they're here until Saturday! It should be lots of fun! So I looked up the story behind this rhyme--very gruesome. Another crazy week and a half has come and gone. Rehearsals have been great! Rhea and I have had a blast (give or take some stress) putting this show together and breathing life into these characters. Director gives notes at the end of every scene and we write down the things we need to work on for the next time. It seems to have gone by so fast. Just last week, I was still reading from the script. Now I'm off book, we're performing in the space, and my costumes are coming together! Monday was designer watch, which means the designers watched a run through of the show to make sure they have everything they need before we open. Wednesday was Crew Watch, which means the crew and production team watch the show, since they won't be able to see the final product because they'll be busy back stage working on it. Last night was our first night of Tech Week. We did a cue to cue, which means we only said the lines before and after any light changes or sound effects so the board operators could get the feel for where their technical elements come in. Tonight we'll be doing a full run through, with some costumes, and we might have prospective students come watch. That's right--it's prospective student weekend! Every department at school is giving tours, and as an ambassador so am I. We're hosting an overnight for all interested students (there's over 100 I believe) and then tomorrow we'll be giving downtown tours. It looks like it's going to be a lot of fun, and it's our job to make the school look as good as possible and bump up those admission rates! In other news, school has been crazy. We did mock performances of our Shakespeare scenes ( I may or may not have already said this in my last post), I got together with my group and planned our presentation (including a rap to keep the kids interested), I presented Othello to my Shakespeare Lit class with my group, I created the program for Collected Stories, I created and sent the advertisements for Collected Stories to the local newspapers, I got the blog mentioned in the local news blog ( http://www.columbiatribune.com/weblogs/art-axis/2010/oct/14/no-hiring-freeze-on-columbias-stages/ ) , had 2 Warehouse Board meetings, written dilemmas for Ethics class, visited with my mom, had poster run, taken headshots for the show, performed my Shakespeare soliloquy for real (and received fabulous feedback from Professor R who thinks I have a real future in the classics), and miraculously got off book for Collected Stories. I've also received my Midwest (combine regional theatre audition in February) form saying what time slot I have and who all will be attending. I've researched the theatres on the list and I'm now considering who to play my audition package to. Most of the theatres attending are interested in musical theatre singers and dancers for their summer stock companies. If I play my cards right, I might be able to try and swing my audition to get the attention of the Shakespeare companies attending, since those are the theatres that interest me the most. I also signed up for next semester classes. I'll be taking a total of 14 hours now (I might add more), which is the lowest amount I've ever taken. I'll be taking Advanced Acting on Camera, Advanced Acting for Comedy, Box Office Internship (where I'll learn some awesome PR skills, and gain business management experience), Dramatic Literature (all focused on plays), and Creating Online Media (which will be beneficial for a future side job in graphic design/PR). I'm not sure why this post includes so many parentheses quotes. On the upside, we got to speak to an Equity Representative in Nuts and Bolts yesterday. He explained the different styles of contracts and the benefits of what Equity can do for us if we join. He also gave us advice about knowing when to join (only when it's right for you, never feel pressured). We also spoke more about side jobs in the acting world, and our newest project is to create our own work of some sort, whether it's performance based or a website. This is to help teach us that we're capable of making our own work when we're in a rut in real life and we're not being hired. I'm sure there's a ton more I've done that I'm missing, but I'm not sure what all it is. Mom and Dad (!!!! Awesome) are coming up to see the show this next week. And after that it's one more week until Thanksgiving Break. That will be the first break I've had since Boji; the first break I've had since May. Whatever will I do with my time? It seems that I have less and less time to write these days. Since Wednesday I've presented my project in Nuts and Bolts, gone to Ethics class, written a vernacular translation of my Shakespeare soliloquy and talked through it with Professor R, Watched the the Julie Taymor version of Titus (Shakespeare'sTitus Andronicus), set up and helped run a costume sale, went headshot shirt shopping (say that 5 times fast), finished a ton of homework, filmed my last movie scene, performed my soliloquy, and taken my headshots! Plus rehearsal. So: the project went really well. We seemed to be the only cities encouraging people to not move there. Kansas City was good, and Minneapolis was interesting, but I was actually interested in Denver and Orlando. Denver is a market I would move to if I wanted to settle down and have a family, I think. They have a great, smaller scene, and it's just a great place to live. Orlando seemed cool for just starting out. I'm not especially interested in Disney, but there are other theatres around, and I do love the Florida atmosphere. Today we get to hear from Chicago, NY, LA, and Seattle. I'm extremely excited about all of these, because if I'm serious about this, I'll definitely end up in one of these places. Kyle (who took my headshots, and acted at Boji) will be a guest speaker in class today, which will be really cool too. He lives in NY as an actor/singer/photographer, and he's going to tell us all about it. I really like the soliloquy I've received in Shakespeare. It's Queen Margaret from King Henry VI Part II. We had to present them individually yesterday, and I'm excited to work with Professor R on mine to make it better. I played one level the whole time, and he reminded me not to put emphasis on non-operative words such as: HIS head. It should be his HEAD. My weekend flew by! The Costume sale went swimmingly! We raised more money than I think we imagined we would, and half of the proceeds are going to The Women's Shelter. I also bought some great things, for very cheap! We're very proud of that. I placed our Warehouse T-Shirt order, so hopefully those should be coming in soon next week. Sunday was a crazy day. I thought I would film my 2 line scene for one hour, tops. Instead, I ended up at a 5 hour shoot because they had to take close-ups, different angles, and over the shoulders of me and my partner and my mother. I never knew it could take so long. I had a lot of fun while filming. It was a really emotional scene, but Garret (my 'brother' in the scene) and I had a lot of fun in between takes. It showed me that I really do love film acting as much as I always thought I would. However, I didn't like waiting around between takes or before takes. On a real set, I wouldn't have homework to be doing and I would have a trailer to stay in--so this problem was purely a student film issue. :) I received great direction, and enjoyed the experience overall. I took my headshots yesterday! It was scary, but Kyle made it fun and easier than I thought it would be. I ended up with over 400 pictures, and Katie Mac and I got it down to just over 50. They're on Facebook mom! Rehearsal has been going really well. We were completely blocked (all our movement was decided) by Friday afternoon. We were working scenes by Friday evening. We just finished working Act 1 yesterday! It goes so fast. We need to be off book Act 1 by Wednesday, and Act 2 by Friday. And then we'll just start running the show. I'm loving the script more every time I do it, which is good because that doesn't always happen. I'm constantly thinking of new things to try, and Director is really great about giving us ideas and letting us have freedom in the process. She keeps it real. She reminds us when we've glossed over an important moment, and to really think about what we're saying and listen to each other. It's difficult because there are only the 2 of us in this play, so we have to be careful that certain things have meaning, and we don't forget them. Anyways, I've gotta go memorize my monologue for Wednesday's class! So, over the lovely 3 day weekend I managed to finish off my project about the Houston/Austin theatre scene. It's not as in depth as I'd like, but I think it's fairly well done. Truthfully, it was difficult to answer some of the questions because the markets are so small that they don't offer up a lot of information about theatre. 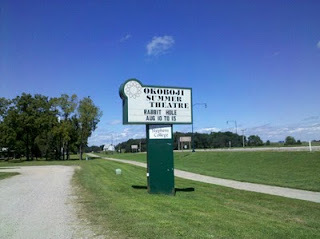 It's difficult to even find pictures of the theatres, because they aren't known on a national scale. I've tried to figure out how to upload it here, so you could look at it if you'd like, but I'm not sure this blog has the capabilities. I'll look into it! The Tudors which is about the reign of Henry VIII and Anne Boleyn. It's mostly fictional, but all the characters are historically accurate. It's very well acted and well scripted, then again most Showtime shows are. It's made me think a lot about classical acting in my future. I really enjoy the classics and I think I'll definitely take the time to train for those somewhere. The University of San Diego has an incredible graduate program geared towards the classics, and they study abroad at the Globe Theatre. On a side note, I discovered that Austin has a replica of a Shakespearean outdoor theatre. I must go. Speaking of classics, Shakespeare Acting has been going well. We performed our 10 line 'midterms' and I received good feedback. Now we've moved onto soliloquies. I'm performing Queen Margaret from King Henry VI Part 2. She's a very powerful woman, and I'm excited to be playing her! I did a lot of research on the play so I understand all of the historical context. That's the problem with Shakespeare's Histories: they were automatically understood in his time, because everyone knew the back stories. These days, very few Americans know about many of the English Kings aside from Henry VIII. There's a lot of names to keep track of, and lineage to check out. I wish I had the time to read every Shakespeare play we receive scenes from this semester. We're supposed to, but realistically it's impossible. I'm taking Shakespeare Literature too, and we have a new play to read every week in there. The plays we receive in acting class are different Shakespeare plays, and there's no way I could read and digest 2 Shakes plays every week around all the other homework I have--plus rehearsal! I'm so excited! Monday we had auditions for Collected Stories in the Warehouse. We have a new student director, Michelle, and she did auditions and callbacks in the same night to ensure that rehearsals could start on Tuesday. We're already a week behind in rehearsals because of midterms last week, so we'll have 2 weeks of rehearsal and 1 week of Tech. So I performed a new monologue that I had prepared over the weekend for auditions and received a callback. Collected Stories is a 2 women play that we fought hard to have in our season. We thought that is was an important piece of work that needed to be done, and the ladies at this school should have an opportunity to play these intelligent and mature characters. At callbacks I read for the older character first, and then the younger character. I ended up getting to read for the younger character several more times before she released everyone except 5 of us--to stay and read for the older character. I've been wanting a younger character on my resume to even it out. It's difficult to explain to theatres that are interested in you why your resume consists of characters that aren't your age. So the more younger characters I can get on my resume, the better, because those will be the roles I actually get called back for in the real world. All in all, the callbacks were really fun. We did separate reads with out partners for the first half, then the director brought us all in and picked pairs to perform scenes in front of everyone to move it along. It's very rare in an audition here that we get to watch each other perform, and it was very useful. It was interesting watching how the first years would get nervous to perform in front of everyone and I had to remind myself that they weren't used to it yet. It made me remember how scared of performing I was when I first came here. The 3rd years were so talented and that was daunting. I had a first year scene partner in one of my callbacks, and she did a great job being courageous. Now she's an understudy! So callbacks lasted until 11 pm, then I woke up, went to class, and then the cast list was up! I'm playing Lisa, the younger character! I had class right up until rehearsal and then the read-through sped by. It's been a crazy couple of days, that's for sure. I had voice midterms on Monday; that went well. I ended up singing my 16 bar cuts Acapella for memorization purposes. Then I turned my Houston/Austin project in to be graded. I received my grade for my Ethics midterm. I got an 86%, and I got a lesson about education. My Professor had created a test that was impossible to make up answers on. We were really angry at how specific he was because we had had to study so hard and then we still weren't able to answer some of the questions which made us look like we hadn't studied at all. However, he told us that education shouldn't be about the grades you make, it should be about what you learn and the knowledge you retain. We had to admit that we had learned a lot in his class and through the studying that we did for the test, so he had done his job, even if we didn't test well. In Professor D's Nuts and Bolts class yesterday we talked about Ancillary Acting work. He gave us a list of entertainment jobs that we could do instead of performing on a stage or in film. We talked about: Theme parks, stunt work, cruise lines, industrial shows, industrial films (like the training videos at every workplace), voice overs, and being a reader in auditions. My two favorites were being a reader and voice overs. If you're a reader it means that you're an actor's 'scene partner' in their audition. You read the other characters lines, usually while sitting down with the casting director and director, while the auditionee performs. This is a great way to watch what makes an audition work and what specific casting directors are looking for. Casting directors are your big in, in this industry and it's important to know them and know what they like. Voice Overs can be done anywhere and everywhere. There are so many opportunities to do voice overs, and if you're lucky you can get a job that pays a ton of money! There are some people that do just this for a living. They have recording studios in their basement and they receive scripts, record them, and email them off and they're done for the day. They take special microphone training and you need to have an array of voices at your disposal for specific radio ads or television commercials. Voice Over artists are the highest paid actors in the business. This is a great supplementary job that I would love to do. Cruise lines are also of interest to me, and Professor D promises that we'll interview some of his friends that work on cruise ships about their experiences. These jobs can be horrible if you aren't careful choosing the line you go on. Some cruise lines offer a weekly meal schedule, and it can be hard to eat the same thing every Wednesday for 6 months. You also have to be careful of who's giving you insurance. Cruise lines are all non-Equity (the stage actors' union)and so you have to make sure of who is taking care of you if you break your leg. Who flies you home, the ship, or you? Another thing to be careful of is who is paying for your visa? If your visa costs $30 to get off the ship at every country and the ship is going to 10 countries, you should probably make sure that the ship is paying for it. Or the theatre company you're working for. The downer is that there are very few straight play cruise lines, which is what I'm interested in. And the other downer is that you're away as long as the ship is away, so if something happens at home it's really difficult to make it back. Next time in Nuts and Bolts I'll be presenting my city research with my partner. I'm really excited about these presentations because I'll get to learn about the theatre markets in a lot of cities, so I can find a city that fits me that I could potentially move to. Top of the list right now: Seattle and Chicago. I have a Warehouse Board Meeting today to approve the poster I've made for this show. I have afternoon and night rehearsal, and somehow in there I also have to find time to make an appointment to cut my bangs before headshots next week, and to plan my presentation for Nuts and Bolts. It's going to be a busy day! Good thing I had the morning off! Oh! P.S. I've started a guest blogging series on the Warehouse Blog, meaning I've contacted people and interviewed them about things I think the students here will be interested in! I'm really excited about it, and the first interview is up! It's not letting me add the warehouse link, so you should scroll down a couple posts to where I added it before! Friday sped by, and so did my weekend! However, I did get a lot accomplished in my seemingly short amount of time. On Friday we presented out Shakespeare scenes for the class. I had a section of Hamlet. Everyone's scenes went great! The language was clear and easy to understand. Everyone understood the point of their scenes, and it was like we weren't watching Shakespeare at all! My scene went very well, too. I had a blast performing it because I took risks and committed more fully than I had been in some of our rehearsals. Professor R had told us to not hold back or be afraid to be a little melodramatic, and so I didn't. I didn't end up being melodramatic, but that direction really allowed me to stop being so small and closed off. * You are a master wordsmith. You carved out every line and syllable and made it your own. * Both of you really understood the scene and committed to the story. So, they were very nice notes to get. It always feels good to not receive a critical note, however that doesn't mean the scene was seamless. I think it just means that in the amount of time we had, we really showed Professor R what he wanted. Which is great! Acting in Shakespeare is a class I'm really enjoying, and it makes me think that I'd love to study Shakespeare and Restoration more in depth. Maybe I'll do graduate school one day. This weekend I did a mock tour for Student Ambassadors which went well. I had to check out early because I was supposed to film some of my scenes for one of the films I'm in. I didn't know where the film site was so it took me a while to find it, but when I got there they ended up not needing me for a couple hours yet. So I came back to campus and attended the understudy performance of Five Women Wearing the Same Dress, which was fabulous by the way. The understudies really did their homework, and I was very proud of them. I had to leave at intermission because I got a call saying they were ready to film me. So, I went and filmed my scene, which only took about 15 takes or so. It was a lot of fun! I actually received direction from the director about where I should put my hand and how she wanted me to stand and if she wanted more in my voice. It was nice to know she wanted me to turn out well on film. It makes me more excited to see the final product. Honestly I have about 7 lines in this film, so it won't be anything to remember, but it's a great experience. I still have one more scene to shoot yet. Then I made a letterhead for the Warehouse, to hopefully add to an e-mail subscription list I'd like to set up. After that it was time to go to the closing show of Five Women! I had to run in early and print off 40 more programs. And 10 minutes before the start of the show, the house manager ran up and told me we needed about 30 more because there was a line of people waiting for programs! That's great! The show had great word of mouth PR, and our ad in the newspaper as well as the posters downtown really brought in a big crowd. We ended up selling higher than normal for one of our shows! The show was hilarious and heartwarming. It was a great script and a great cast. It was amazing to watch how everything came together for this show. Being a part of it was so much fun, and all of our hard work really paid off. We had strike after the show and the set came down in no time. We were out early and I got to bed early. Sunday was filled with massive amounts of homework and small spurts of procrastination. I finished up memorizing lines for the Shakespeare midterm, wrote a cover letter and a review of Five Women for Nuts and Bolts, wrote in the discussion board for class, and typed out my section of the proposal for our Global Ethics Senior Capstone project. I spent about 4 hours looking for a good monologue, but it took me until yesterday to find the one I'd like to use. We're supposed to being 'using the room' for our next monologue assignment, and so I had been having difficulty finding a monologue that I could accomplish that with. The monologue I'm using is from Lanford Wilson's Ludlow Fair and hopefully it will turn out to be a good addition to my repertoire. In Nuts and Bolts today we talked more about Living in the Big City. There was a lot of discussion on security at the apartments we live in, as well as car security, and grocery delivery. We also talked about collecting unemployment. Unemployment is given to people who are let go from their jobs or when the job they have ends. As actors, we sign contracts for 4-8 week gigs---and then our jobs end. Because of this, as long as we are actively seeking employment such as auditioning or attempting to find auditions, we can collect unemployment to help pay the bills. Professor D suggested some good part time jobs, as well. When in a large market such as LA, NYC, or Chicago where acting is seen as a legitimate profession, auditions take place during the day and performances and showcases take place at night. This means if you have a day job you can't audition, and if you have a night job you can't perform. So how do we do it, you ask? We have to find jobs with flexible hours that allow us to audition and perform. This means: massage therapy, certified personal trainer, temping, or knowing your employer well enough. Professor D used to be a bell boy, and has friends that work as personal assistants or vet assistants who have boss' that allow them to take off for auditions. We talked a lot about temping and its benefits in class today. It's one of the most flexible jobs, and it's easy if you know how to work computer's and type well. Well--isn't it interesting the things I have to look forward to? Who knows what part time job I'll have? I'm not too worried about it at the moment. For now, I'd like to focus on actually acquiring a theatre related job! I graduate in 8 months exactly. May 7, 2011. I haven't been in college for very long. Still, high school seems like a life time ago. I learned so much about theatre my first and second year here. It's become so much more than a possible career. I came into college loving what I experienced in high school, but knowing there was more out there. 2 years later I realize now that what theatre is to me has changed. It's always been about family and about creativity. It's been about expressing myself and sharing an idea. Now, all of that has grown. It's become about the art and the craft itself. It's about the history of theatre and what it has always meant to the people who perform it. It's about learning something not only about myself, but something human everyday. It reminds me that everything in life changes and evolves. It has shown me that I can change and that I can help change people. It's about representing the bigger picture and bringing new ideas to a wider public. And I love the process. I love delving into situations I have or haven't experienced or making people laugh. It's a sort of psychology for the soul. And I use my body and my mind everyday. At the end of the day I know I've worked hard for something, usually with someone else. It's a community experience. Most importantly though, I think theatre has taught me that there is so much more to life than I thought before. There are different people and places to experience. There are things that I want to do that have nothing to do with working in an office and everything to do with learning about life. I wish I could spend my life traveling and meeting new people and experiencing different cultures. But I know I can't. Not realistically--at least for a little while. And I think that might be the saddest thing I've learned in college. American theatre has become so commercial. So much of it is based on money and public desire. The regional theatre movement is slightly better, but it's really the store-front, independent theatres that are able to perform the work that matters. But in other parts of the world, theatre is different. Theatre is not only a respected art, but a respected career. It's not seen as a claim to fame, or idealistic. The people that practice it aren't usually out to get famous. In England actors are knighted for their craft. It's considered respectable to study theatre and to perform it. It's odd to not only concieve of the notion that somewhere else people might not laugh when I say I'm an actress, but odd that somewhere else my idea of a future is a legitimate one. And that has allowed me to understand that my future is legitimate--if I so choose to make it that way. I suppose I'm thinking about all of this because in 8 months I'll be out there, and I'll have to make decisions about what I want to do. And I don't really know what I want to do. I want to act, but only if acting is bringing me the same joy that it has brought me so far. I want to be part of a cast that loves what they do as much as I do. And I want it to be about the experience, and very rarely about the money. They always say that if you do theatre, you can never just do theatre. You have to do other things to give you the experience you need to do theatre. And I like that. I like knowing that I can do other things to be good at what I love to do. Nothing I do will ever be a waste of time. Now--the key is to actually do this. To be successful. But I think my success will be measured by my happiness, and by the people I've met along the way. Wow, I'm failing miserably at keeping up this year. I'm sorry. Next week is midterms, so this week and last week are crammed full of teachers throwing information at me. Which is ok, to an extent. Let's pick up where we left off, shall we? I'm loving my new haircut, for one. Mom's visit was awesome and gave me a much needed mental health weekend. Also, over the weekend we had our 2 annual Warehouse Field Day! It was a great success and everybody had a great time. This week I had to get the Warehouse Programs printed. They look beautiful! My poster that I designed is on the front, and we had them printed in color, which is a step up from last year. I also created a 'Warehouse Theatre Bookmark' insert. It's bookmark with the rest of our upcoming season as well as our blog and twitter accounts, so the public can keep up with us online. I also had to get the dress display for the lobby situated. We wanted to put student made dresses on display as a show of campus involvement in the Warehouse. It ended up that only one student submitted dresses, but we had enough for a great display! So it was a busy week for the Warehouse. We opened the show last night and I hear it went great! The photo/bio board for the actors and designers looks amazing, the show was hilarious, and we had a group of 33 come! It's rare to get a group, so that was really cool. We played to 81% last night! We might even run out of programs--and that's great! Now, onto my school life, because really, how did my life become only about the Warehouse? In Shakespeare we reviewed our scenes to be performed Friday. Kylie and I did well, and I had a few notes about emphasis placement, but Professor R says we're well on our way. In Shakespeare Lit this week we studied All's Well that Ends Well. Coming up next we're studying Titus Andronicus. Each week now there is a new group presentation on the play and then we discuss it. It's become more of a process than a learning experience, but I'm working on it. Nuts and Bolts this week was fun! We discussed Our Leading Lady which closed on the mainstage over the weekend. It was a great play, but an odd script. Not one of Charles Busch's better ones in my opinion. However the cast did a beautiful job. Then we also talked about our interviews. Professor D told us most everyone did a good job. I got to watch the video of my interview. Professor D said I was charming and comfortable, and well composed. I thought my interview went pretty well. I was wearing rings, and I continually clinked them against the table and that was annoying. I felt that the interview could have been slightly more personal, but I know what I need to work on for next time. Also this week in Professor D's class we talked about 'Living in the Big City' and leasing apartments. A very educational lesson, for sure. Professor B signed my UPTA paperwork, which I can now send in to be registered officially. UPTAs are the Unified Professional Theatre Auditions. They're a combined regional audition where theatre companies, producers, casting directors, and touring groups come to audition new talent. It's one of the most widely attended in the country, and I'm more interested in this audition than in Midwest Auditions, which consists mostly of summer stock theatres and small touring shows. But, maybe I'll be able to attend both. I can't say for sure what will come of either of these, but it's always good to register. I have my first filming dates this weekend. I'll be shooting a couple scenes off campus for one of the student films I'm in. That will be fun, but hopefully it won't take up all my time on the weekend before midterms. I also have a 'mock overnight' planned with Student Ambassadors, where the returning student ambassadors train the new ambassadors by hosting an overnight and giving a tour. I'll miss some of it because we have our Talkback after Friday's show and the board has to be there, but that's ok. So, that's my last week in a nutshell. It sounds horribly uninteresting, but I don't have much energy to make it engaging. I have ethics class soon! We've moved from Hindu Dharma to Buddhism. I'm enjoying it a lot! Gotta go! Oh, and check out the Warehouse Blog I created for our theatre company. I'm quite proud of it. Hello World--It's a New Day! I'm in a really great mood today for many reasons. 1. I talked to the Houston/Dallas Actor's Equity Liaison yesterday for my research project. She was awesome! Let's call her L. L was not only extremely helpful, but possibly the nicest person I've ever spoken to on the phone. She gave me so many great answers to my questions, as well as a pep talk about my future. By the end of the conversation she was offering to take me to auditions and introduce me to all of her friends (who are all extremely important people in the acting world of Houston, Texas). Of course, L is the kind of person that would do this for anybody, so I'm not the special person in this situation--she is. She told me to keep in touch, and if I'm ever in Houston she would love to meet up with me and do all the things she promised. * 96% of actors in Houston have a full time job. This means, it's incredibly hard to live on an acting salary, and not many of the theatres pay a high enough salary to live off of. * The main full time position actors have is teaching! What a coincidence. And, if I were to get my MFA, I could teach college level and get paid more. Guess who went to the renowned Houston Graduate Acting program? That's right, L did. And does she known the head of the program very well? You bet she does. *Other positions to be had in the area are: running your own business, computer techinician, and working in a theatre office position. *Since most actors work full time jobs, all rehearsals in the area except at the Alley Theatre and Theatre Under The Stars take place at night to work with everyone's schedules. All things to think about. She also told me many more positive things about the area, and especially concerning Dallas. Dallas ended up sounding more like the place I'd like to work in. More work seems to go through the area, I think. L gave me the names of the top agencies (which all her friends work for) and told me that they hire a lot of work out of Dallas. And home is right between Dallas and Houston. How convenient. 2. I had a great Warehouse Board meeting yesterday. We're looking into some new opportunities that I can't disclose yet since they haven't been approved, but suffice to say they will be extremely beneficial for the students at school! 3. I had my 'mock' interview with Profesor D today. He was acting as Michael Kirsten from Harden-Curtis Associates. I prepared well. I looked up all the current projects and actors he's working on and with. I worked out all the answers to the regular questions and decided how I was going to present myself. It was odd because I know Professor D, so it wasn't like a real interview would be--but I was just as nervous. Of course he video taped us, so this way we can watch it and know the things we need to fix such as our physicality when walking into the room or if you say 'um' too much. *What was your college experience like? *What kind of roles can I send you out for? Right now? *Where do you see yourself working in 5 years? They seem easy, but it was really hard to think of the roles I could be sent out for. It's so easy to think that we can play anything. We've all been taught here that we're versatile actors. But out there, agents look at us and put us into types: quirky best friend, mental case, leading lady, young lover, ingenue, witty side kick. We walk into a room and they know what they want to send us out for--the interview is just a test to see if your personality fits your image. So I had to really think about how people percieve me and the kind of roles I could feasibly be playing once I graduate. I settled for young strong female lead such as Raina in Arms and the Man and the odd girl such as Prudence in Beyond Therapy. I told 'Michael' that I was interested in abstract pieces by Pinter, Albee, and Durang. He asked me why I hadn't been in more comedies, and I expressed an interest in those as well. I also talked about how I hope to have started my television career in 5 years, and we spoke on that some. It was a good interview, and I got some positive feedback on it. Professor D told me I can watch the tape when I get some free time. 4. I cut my hair. I wanted a new look. It's just shorter. And I have bangs! Exciting, but it needs to grow out some. 5. Mom's coming tomorrow!!! And I only have 1 class tomorrow! Professor R said it best to me, but the above title is a common note I get. Professor B says I'm honest and Professor L thinks I can deliver a truthful line with the best of them. They all mean the same thing. Professor R reminded me of it again today when my partner and I were performing our Hamlet scene, in which I (Hamlet) tend to rant in soliloquy. It was a very true note, but I must say Professor R makes it seem much easier than when I attempt it. Such is the life of a BFA candidate. The castlist for All my Sons went up, and I was not cast. Some of my best friends got great rolls, and I'm very excited to see the show. I think it's going to be a challenge and a great experience for all of them, especially those First Year understudies. I also had a film audition last week. It was awesome!!! It was the most professional one I've been to yet, mostly because it wasn't a student film. I got my sides early by e-mail, so I could look over the part. Then I prepared a monologue for the audition as well. All of the crew were really welcoming. I got to meet the writer and she and the director told me what they were expecting. The audition area was actually lit with lights and reflectors. I was surrounded to the point where it was hard to see the director when he was talking to me. It was great! They all knew what they wanted and it felt great to be surrounded by people like that. I did my monologue first, and then they had me sit and read a long monologue for the character I was auditioning for. After I read it, they gave me an adjustment--and here's the irony--it was to be LESS emotional! Which means I was being too big for the camera. Ah, the perfect balance needs to be found. However, they seemed to enjoy my second reading and they asked my availability and if I would be able to commit to the principle photography dates. They explained that callbacks would be this week from Wednesday to Friday if I got a callback. Maybe I will, maybe I won't. However, that was the funnest audition I've been to all year and I had a great time! This weekend I started a list of the Top Ten Paid Internships I should look into. This is a really hard list to make, because each theatre is so different and so is the experience I would have there. So far I only have 3 internships. Professor D talked about Grad School in our last Nuts and Bolts lesson. He said you need to have a really good reason to attend Grad School, and they're going to ask you why you think Grad School is right for you when you audition. Wanting to go to GS because you're afraid of the real world or because you enjoy the classroom setting is not a good enough reason to attend. Professor D said he went because he didn't know his 'type', or the kinds of characters he could be cast in. One day I'll go to GS because I have more to learn, and I want to further my knowledge, and because those connections will take me to amazing places. However, I think at this point in my life I need to experience the real world. I got a new laptop this weekend. My last one died unexpectedly; the motherboard crashed. But now I'm up and running again, with a lot more work to finish before MOMMY GETS HERE on FRIDAY! That's what Professor R proclaimed when handing out our Shakespeare scenes which, admittedly, I was excited to get. I'm playing Hamlet, and I have some lines to memorize tonight! It looks like it will be a really fun scene. So, I meant to update before today, but there was so much going on. Last week went by in a flash. I had my first monologue to perform in our monologue class. Professor B told us all that we need to remember that saying a monologue 'honestly' will not set us apart from the 300 people auditioning for the same role. Anyone can do an honest line reading. We need to be unique. We need to tag (end with an action) it. She told us the only rules in an audition are the ones we make for ourselves. I thought that was great advice. Who really says you can't use a prop or a chair? Don't start in neutral, stand in a way that makes someone pay attention to you, and that gives you the option to move. If you stand straight on with your hands at your sides, the only place you can go is to step forward or wander aimlessly to the side, or to bring your hands up in a physically unappealing gesture. We need to learn to engage our bodies, and the first step is giving yourself the opportunity to move. We need to pick pieces that showcase our abilities and set us apart from the crowd. All of this is easier said than done. Nonetheless, it will be my goal of the year to come up with audition pieces that do all these things for me. We had meetings with Professor D pertaining to our resumes. I only had minor critiques, such as including the names of my directors on my resume, because I never know when someone will know someone I've worked with, and that makes all the difference. This weekend we had auditions for All my Sons. Saturday went great and I received a callback. Sunday's callback was a lot of fun. I thought, for once, that I might have been called back for the ingenue Ann. However, I was called back for Sue, which is the next door neighbor who has a really interesting part. I had a great time at the callback. Director L told us exactly what she was looking for and we tried our best to give her what she wanted. I didn't get any corrections, and we only ran the scene once. My friends all had great callbacks too, and the competition was especially fierce for only 4 female roles. We should be finding out Wednesday or Thursday, so we'll see how it goes! It's called A Horrible Way to Die . This movie is making it's debut at a couple different high end film festivals, and it's an amazing accomplishment for all the students involved. This is one I auditioned for but was not lucky enough to be cast in. 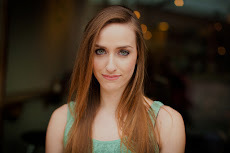 Along with this, my friend Melissa was cast in a film last year called A Face Fixed. It had it's premiere at The Ragtag Cinema this weekend, and I went with Melissa. Not only was it amazing to watch her on screen in a legitimate film (not a student film) in an actual theatre, but she was asked afterwards by someone involved in the movie if they could represent her as her agent! Talk about an awesome opportunity. She's got a bright future ahead of her. So beyond all the amazing film related things that have been happening in my life as of late, I was asked by Professor R to meet an alumnae: Joy Haynes for lunch today. She graduated from here in 1993 (with an amazing group of girls, might I add) and has since gone on to get her law degree as well. So she's a part time practicing lawyer, and the other part of her time is spent acting and producing films in Washington D.C. She was incredibly easy to talk to and told me a lot of great stories about her time at my college as well as what it's like to do what she does. She says D.C. is the best kept film secret. All of the voice overs in election campaigns, and airport recordings are done in D.C., along with many other opportunities that look great when building a resume. She also said that there is more film in D.C. than in Chicago. However, it is cheaper to live in L.A. (even with the driving) than it is to live in D.C., but she worked more acting gigs in 1 year in D.C. than she did in 4 years in L.A. Crazy right? She was great to talk to, and I'll be going out to dinner with her tonight along with the Dean of the Theatre Department and the President of our college. What a fun evening I have ahead of me. I can't wait to talk to her more! On the downside, I still have a ton of homework to accomplish. But I did finish printing the Warehouse Posters for distribution! Whoot! Last week went by so fast, and yet so much happened. Spirit Week really helped raise awareness of the Warehouse, at least in the theatre community on campus. We had a great Open Mic night, and our Speed Friending event was packed full of eager first years and upper classmen who were willing to be their mentors. We've all officially been paired up, and I'm excited to get to know my mentizzle. Our Dance on Saturday was a big hit, and I had a great time after cleaning up all day. We had a nice turn out for the clean up and we were done and set up for the dance in no time. Everyone showed up Saturday night with great 90s costumes. I went as Sporty Spice from the Spice Girls and danced the night away. Today was extra packed, and I'm still feeling a little behind. We performed our sonnets in Shakespeare today. Professor R told me I was confident, clear, precise, and really handled the language well. He reminded me to emphasize 2 of my consonants on 'dooM' and 'erroR' so all the syllable could be understood. We performed once in the rehearsal room (where we have all our theatre classes this year) and once on stage. It's always fun adapting your piece to fit a larger space after being in a smaller one. I thought everyone did a great job with it, and with interpretation. I can't wait to move onto scenes! Shakespeare Lit was just a discussion of Richard II, which we will be continuing to talk about on Wednesday. I had my second voice lesson today, though, and I had a blast. Voice Professor T warmed me up and we covered some Alexander exercises. Alexander technique is something we covered our first semester in college. It's a technique that properly aligns your body to get a healthy, natural sound that vibrates and carries. Many exericese are similar to yoga positions. It's a very useful technique and it carries into voice lessons well (imagine that). We picked two ballads and one (AWESOME) up-beat song that I can't wait to start on. You are a journalist for an American newspaper on assignment in a remote African country. Your job is to objectively gather information about rumors that the country’s government is planning genocide by stockpiling weapons and closing roads out of the country. You have been given clear instructions to report but never to intervene, and you have sworn that you will comply with this request. While doing your research you find a massive list of people that appear to be targeted for murder the next night. What do you do? In answering, make use of Kant’s ethical theories and specific terminology. I've completed my personal inventory assignment for acting which will help me discover what type of characters I should be looking at for acting. I started the Warehouse Blog too! I'll post the link as soon as I'm more confident about it's appearance. I've also finished my Resume and had a meeting about the Costume Sale we're putting together as a Warehouse Fundraiser. Half the proceeds will be going to a women's shelter in town, so that's exciting. Anyway, it's been a full day, and I haven't even begun to pick my monologue for All My Sons auditions which are happening on Saturday. It's on the top of my THINGS TO FINISH, HURRY UP list. The most informative part of my day (in a day so full of learning, how could I possible choose you ask?) was the helpful discussion I had with Professor B about grad school. I asked her professional opinion about putting together an audition package for URTAs (the regional, combined auditions for graduate schools). She explained that sometimes you can go to the URTAs and never even see a college representative. They put you in front of a screening board first, and decide whether or not they like you enough to put you through. She thinks that if you have a place in mind, it's much smarter to visit the university and audition on campus. Smart advice! Especially since I'm undecided on what I'd like to do after graduation. She suggested trying the nearby programs, such as UMKC and seeing if my package works for me. I could learn that I've picked the wrong monologues, and then I would know what to fix. She reminded me that we shouldn't be so worried about being behind. We all think we have so much to do before we graduate, but we're graduating a year earlier than most people, and we can use that year to do whatever we'd like. She suggested studying abroad while I still have only myself to think about. She referenced some great internship programs (which, ironically enough, are the ones I've been most interested in throughout my research) and reminded me that both of these things could help me grow as an artist and a person. Professor B made a point that I hadn't thought of, as well. She said that if I do go to graduate school, I need to be prepared to stay in the area a while. If I went to UMKC, after I graduate, the smart option would be to work in that area, where all of my fellow graduates, guest directors, and professors have connections. If I really want to work in NY or LA, I need to find a school in that area to meet those people. She said she knew amazing people that graduated from her program at UMKC and went to LA and never worked because they didn't have the contacts. Interesting point. So, as of now, I will be looking into making two separate packages. One for the possibility of grad school which will include a classical, a shakespeare, and a modern realism monologue. And one for internships, which will include 2 modern pieces (because Professor B knows that's my strength) one comedic and one dramatic. SO MUCH TO THINK ABOUT!!!!! Our assignment this week is to update/make our resume presentable to hand in and to research good headshot photographers that we'd like to shoot with. The proof is in the picture. Professor D tells us our picture has to be eye catching. 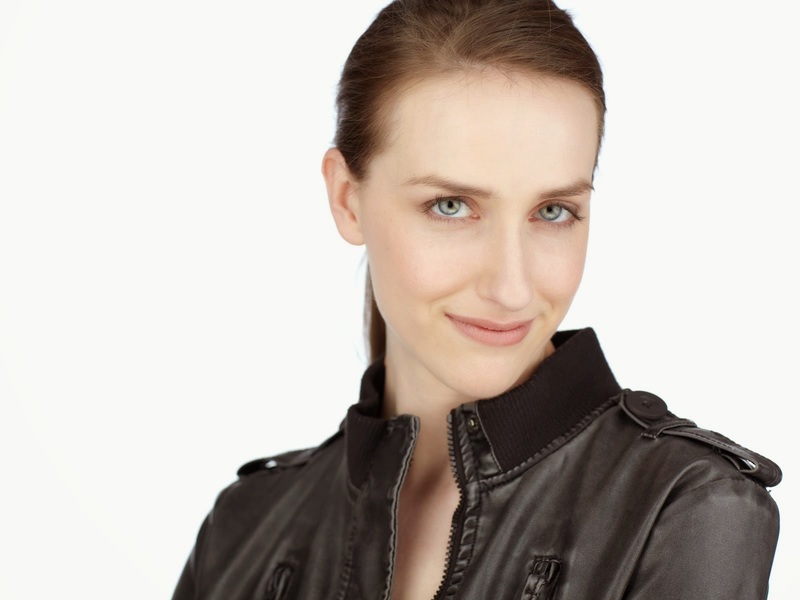 Our eyes need to hold secrets that make a casting director say "Let's call her in!" But of course, you have to be yourself because if you walk in the room and you don't look like your picture they won't want to talk to you. So this means that you need to market yourself in the way you want to be perceived to obtain the parts you'd like to act. If I want to be the girl next door then my picture shouldn't make me look too provocative, otherwise I wouldn't be called in for the part. There is a balance. 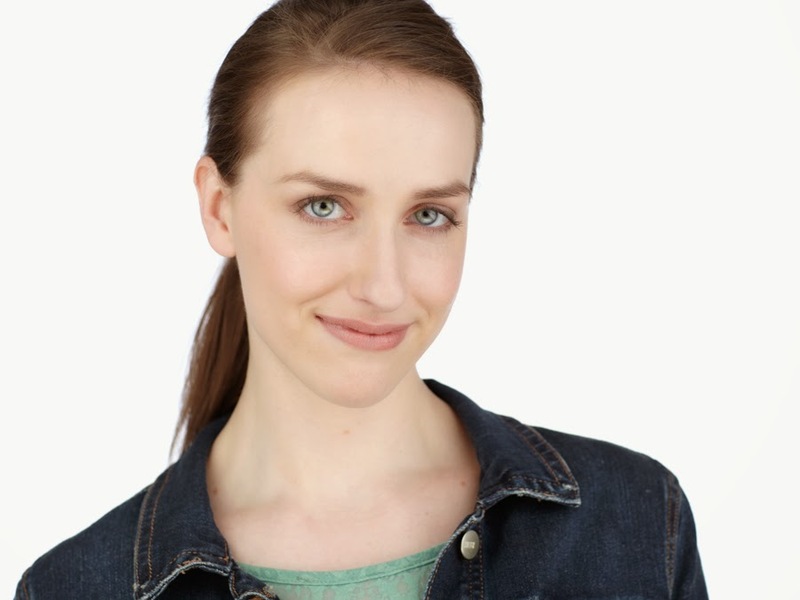 I wouldn't want to look like a crazy woman in my headshot just so I could play a psychotic role. I found it all very interesting to hear about. We learn a lot in the class that seems like common sense, but I've realized I feel like I know what I'm talking about more because I learned it in class and not through my own research. The Warehouse has been busy this week, as well. It's spirit week! We had Superhero Day, Lady GaGa Day, today is Disney Princess Day, and tomorrow is Twin Day. Last night was our first Open Mic night, where all the students gather and perform original works and hang out. Tonight is Speed Friending where we're going to pair upperclassmen (Mentors) with compatible lowerclassmen (Mentizzles) through a series of conversations in a rotating circle. In otherwords, it's like speed dating...but not! This has been the week for the underclassmen to put up declarations for class representative to join the Warehouse Board. Only one from each class can be chosen and we'll be having elections on Saturday after our Cleanup. We have a cleanup every year where the Warehouse members clean our performance spaces in time to kick off our first Dance! This year our theme is 90s music video! It's going to be a fun weekend for sure! I'm also planning on seeing Equus this weekend in St. Louis with some friends. We have some recent graduates in the show and we're excited to see them at work. My friend Nancy is also doing a show in Kansas City and I hope to drag the old Rabbit Hole cast out to see her for lunch and then watch her show! And apparently I'm a horrible blogger, but I will definitely whip myself back into shape. I left off so long ago, but I'll try to recall things as best as I can. So I left off with the run of Unnecessary Farce and the rehearsal of Rabbit Hole. Rabbit Hole was truly the most challenging piece of literature I've ever worked on in my life. Which is the point, I do believe. Farce ended with a bang. We had a great run, the audience loved it every night, and the biggest technical difficulty we had was one night when the lights decided not to go out at intermission, so we had to hold the intermission for an extra 10 minutes or so, and finally we had to turn the lights off manually instead of fixing the problem with the board. It was great immediacy for the actors, who had to walk on stage with the lights up to get into position, instead of in a blackout. They stayed in character and had a blast doing it. We finally had the lights fixed half way through Act II in time to make them come up for curtain call from the light board. Talk-back for the show was nice, and the cast did a beautiful job of showing their support of our director by singing his praises about his work on the show. He really did a fabulous job, and we sent him a video copy of the performance so he could see it. The last night my parents were able to come up and see the show, and they enjoyed it a lot. They stayed long enough to watch The Chalk Garden and the opening night of Rabbit Hole, which I couldn't have appreciated more. I spent the next week rehearsing Rabbit Hole full time before opening, and I ushered in the evening. The second week was much more difficult than the first. The strain of being inside Becca's head was beginning to grow. I've realized that had I been in a place where I could have gone 'home' after rehearsal, or taken the time to compartmentalize my feelings and Becca's before moving onto the next job, or if I had had a longer rehearsal process to sift through the emotions--then the process wouldn't have been as difficult and emotionally taxing. But that was the beauty of Boji. It taught me that I had the strength to fight through all that, and give a performance to the best of my ability. Director L was constantly reminding me of the psychology behind Becca's decisions, and Howie's (my husband in the play) choices. I learned a lot by listening, and I worked hard to take everything she said and employ it the next time we repeated a scene. I stressed a lot over a breakdown scene I had, where I had to cry without the help of being able to speak or move. I was able to produce the necessary emotion in the beginning, but by the middle of the rehearsal process I was straining to reach tears every time. The emotional upheaval was so constant that, as a human being, I was having a hard time bringing myself to the same climax every time. That is the hardest lesson I learned at Boji. The perseverance and endurance it takes to play these amazing roles is indescribable. And what's more, I could only do what I was capable of at that point in my life. When I'm truly 36 years old, if I ever have the opportunity to play this role again, my life experience would lend itself so differently, and probably with more desirable results. However, that was the magic of this show. I was given the opportunity to stretch myself so much farther than I'd ever been allowed before. And what's more, I was allowed to do it with this amazing cast that did have the life experience. D couldn't have helped me more. It was so amazing to watch his process every night. What I learned from most, I can say now, was his physicality. I felt confined, playing this emotionally introverted character, and it was so easy to let my body stay stiff all the time. But watching D (my husband) move so naturally in the space really helped me move more fluidly. Though, generally speaking, my physicality is something I still have a lot of work to do on. ANYWAY, that was a long way around saying that Rabbit Hole was easily the hardest but best part of my summer. I still haven't been able to think about everything completely, but I know I will look back on it for a long time to come. Opening night was a great show, with great energy. It was technically our first full run as well. By Saturday we were doing runs, but I still had to call 'line'. Monday's tech process went until 4 AM, and we didn't actually dress the show. By 3 we were doing a cue to cue (which means you only say the lines right before a light or sound cue, and don't actually perform the full scenes). It was a blast for me, and, surprisingly, I was awake and ready to work the whole time. Working with the slip stage was AWESOME. The change-over from The Chalk Garden took us until 4 AM, AKA Sunday Night (and then Monday night was until 4 AM, and then Tuesday we opened. Thanks Boji for introducing me to the real world! ), and getting the slip set up was long, but putting up the incredible set for Rabbit Hole took even longer. We couldn't even start our tech on Monday until after dinner, because the set was still being built. I'll have pictures up soon. A slip stage means that the stage moves left to right, so we had 3 separate sets that moved on and off by moving the actual stage instead of moving set pieces individually. So, Tuesday was our first full run, and, considering, it went great! We got an instant standing ovation, which really surprised me. I felt really awesome about the show. I felt like I had accomplished something bigger than myself, and I had grasped the character in a way I hadn't previously. It was progress, and I was proud of that. The next couple nights I felt like I was fighting to achieve something that I didn't necessarily reach, but each night I discovered something I hadn't before. I found new ways to win an argument, and we played different emotions in a couple scenes. If there's one thing that Boji did for me it was to show me a study of character. At school, sometimes, the performance just seems like a culmination of work, and it becomes this piece of show art that you put on to impress faculty or to show peers. But Boji was such a process and I never stopped learning. Every night was something new. And you never had the time to step back and evaluate anything. Which was great because, as many of the faculty tell us, we're a generation of thinkers and rule followers, and those are habits you have to break sometimes to reach truth. By Saturday we were in a swing of sorts. I never felt the same as Gamma Rays. I didn't feel like I could do this performance every night with consistency. This role was so human that it constantly changed, and the script lent itself more to different choices. I was incredibly sad when the run ended, and it was incredible how fast the set came down. Talk-back was great. There were many interested patrons, and we got more positive feedback than I had expected. We were praised on handling the difficult subject matter, on projecting louder than the other shows of the season, and on remaining real. I've realized how odd it is to try and explain your process or character to other people when it goes so deep. I had difficulty trying to tell the patrons that, while it was hard and emotionally draining, it was also one of the best experiences I'd ever been through. The rest of Boji went by in a blur. Beauty and the Beast went up, and I got to House Manage. I spoke to many of the patrons and it was so heartening to hear how much they appreciated theatre, and our hard work. Our society has come to expect that anybody can be an actor, and so we teach ourselves to be under appreciated. These patrons were probably the nicest I will ever meet. The show was great! I got to spend the week in the costume shop, learning new skills. I made Lumiere's boots, and sewed skirts for all the napkins. It was a blast. We also spent the week cleaning up the lot, and I earned myself a shop tool belt (which is awesome)! Somehow I got everything packed up, finished my last clean-up crew, and made it to the last strike. I injured my back slightly, so I wasn't allowed to do heavy lifting for the night, but I spent the night with great friends, finishing up what we love to do. All the spaces were cleaned out, the awning was taken down, the signs were unscrewed, and the truck was loaded! We ended strike with some great speeches that left me thinking about everything I had learned and the things I'd come to respect. We got paid, which was an added and unexpected bonus, and then we said our goodbyes. Strike ended at 3:30 AM, and I was on the road by 7:30! I made it to Columbia with Gillian in time to unpack and race over to our departmental dinner so I could be present for the Warehouse Board Member speech. And ever since then, it's been just as crazy as Boji. It only ended a week ago, and it feels like forever ago. I'm taking Global Ethics, Shakespearean Literature, Shakespeare Acting, Nuts and Bolts Acting Seminar (where we learn about the world), Monologue Class, and Private Voice. I love every class I'm taking, and the course load is already crazy. We had auditions for Our Leading Lady which I received a callback for, but wasn't cast in. I had a really great time auditioning though. And we recently auditioned our Warehouse show 5 Women Wearing the Same Dress, which I didn't audition for. I've spent my afternoons running around attempting to find sponsors for our season, and it's been a great experience so far. I've met some great people. We've been assigned our Major City research assignment, where we have to research major markets that we'd like to move to to start our careers. I'm doing Houston and Austin, and I'm excited to get started. We had our First Warehouse Meeting today, as well, and all the first years are really interested in being involved. Already we have 61 members, and 97 showed up to the meeting--that's a record, I'm sure of it! Anyway, it looks like it's going to be an amazing year, and hopefully I'll be able to keep up with this so it's not just an info junk heap. Onto homework!